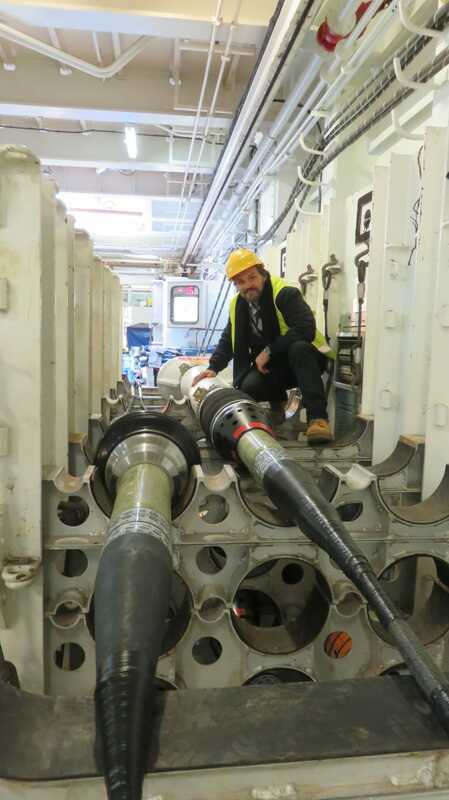 In March this year, Mat Shields, Vocus Communications Technical Lead for the CS² project, travelled to ASN’s manufacturing plant in Calais to review final testing of both the Coral Sea Cable System and Solomon Islands Domestic Network before the cables were loaded onto the Ile de Brehat ship for transport. Once manufactured, the cable is coiled and stored in large storage tanks in the factory. From the factory, situated about 1km from the dock where the ship is berthed, the cable is fed out of the tanks and onto tracks and rollers all the way to the ship. 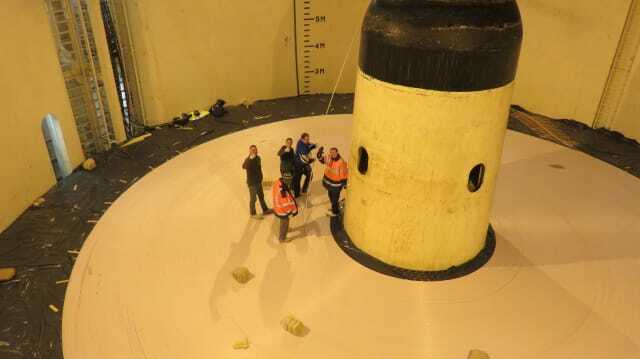 The cable is loaded through an underground tunnel over a distance of 800m before being carefully re-coiled by hand into tanks on board the Ile De Brehat. 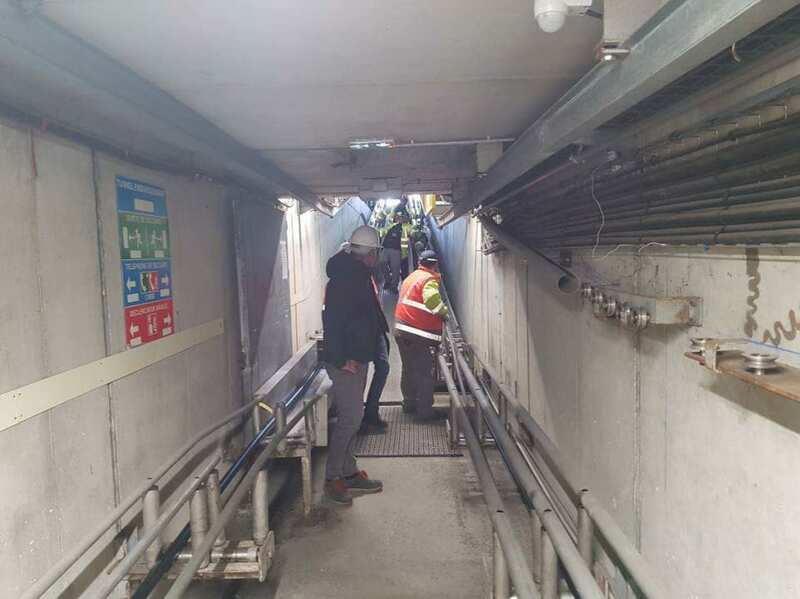 The segments are contiguous so from time to time, the process must be slowed to allow repeaters and joints to be carefully escorted or “walked” along the route from the factory to the ship. Cable loading is scheduled to be completed by mid-April. 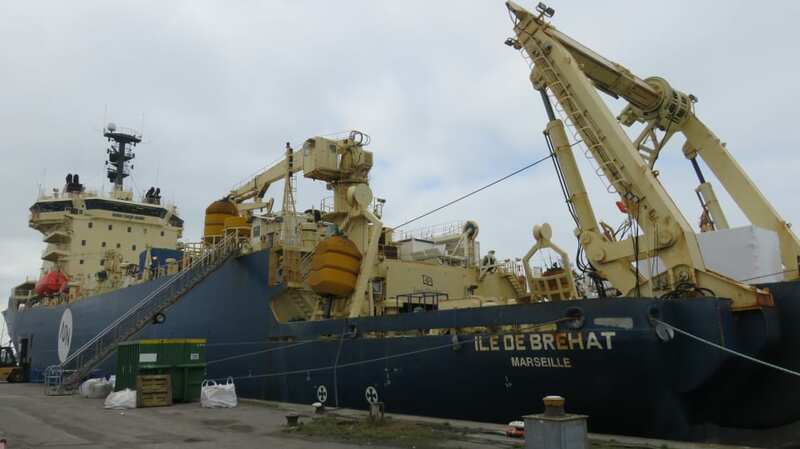 The ship will then travel from Calais to the Coral Sea to begin the cable lay.